Interest rates: Examine the back of your statement, which shows the different methods of calculating interest. The interest calculation that is being applied to your outstanding balance is found on the front of your statement. Low introductory offers: If you transfer the balance of your high interest credit card to a card offering a low interest rate, read the fine print. Look to see if a high transfer fee will be charged. Most important, prior to making new purchases, make sure that the same low interest rate will be applied. Some issuers charge a higher interest rate for new purchases. If you find it difficult controlling your credit card spending, you may want to consider using a debit card. Limiting your access to credit is a smart move whether you are a binge shopper or a model of self-control. Ask your credit card company for a better deal. Due to competition, you may be able to lower your interest rate or eliminate your annual fee. Do not use your credit card for a cash advance. Using your credit card at an ATM is more expensive than charging regular purchases. The interest rate is usually higher on cash advances and there could be a service fee attached to the transaction. Use no more than three credit cards. 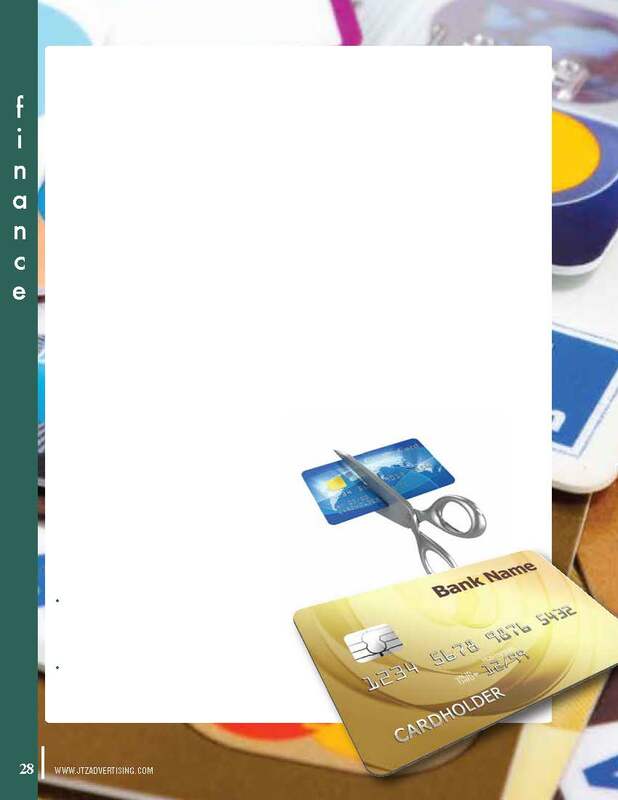 All cards should charge no annual fee and provide a grace period for payment without incurring finance charges. monthly bills and treat that total just as you would treat your monthly rent, as a “must pay” on a certain date. Do not charge anything to the credit card unless you have the cash with which to pay for it. Avoid late charges. If you are paid on the 1st and your credit card payment is due on the fifth, prior to paying the bill you will need to deposit your pay cheque. To avoid being hit with a late fee and interest charges, send in the minimum payment on the day you receive the statement. Then submit the balance as soon as you can cover the payment, preferably within the grace period. Credit cards are to be used as a method of convenience. They should not be considered a means of financing a purchase over several months to a year. Set a spending ceiling and then never spend more than that amount on anything without taking time to think about making the purchase. Once you have established the financial limit, do not permit yourself to buy anything for that amount or more without first leaving the store and giving yourself 48 hours to think about it. By giving your self a ‘cool off’ period, you allow yourself a chance to decide rationally whether the purchase is really necessary.